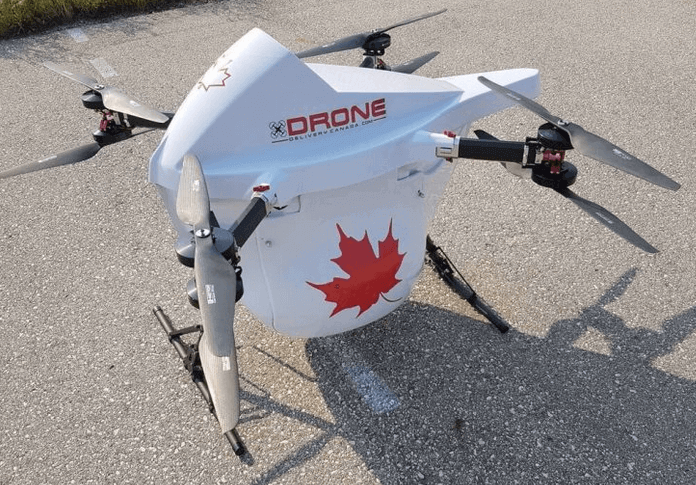 Droen Delivery Canada (DDC) has announced that it has completed a series of successful test flights in the United States of America at the Griffiss International Airport located in Rome, New York. “Testing at Griffiss was a natural extension for continued progress with our platform in a BVLOS non-segregated airspace environment. An active runway with large aircraft, helicopters, and general aviation aircraft is the latest advancement to our operations team airspace integration efforts and a progression from the knowledge learned during DDC’s Moosonee operations, which remain ongoing. We are pleased to report 100% success rate with all our test fights and look forward to our expansion into the USA which has now begun in earnest,” commented Paul Di Benedetto, Chief Technology Officer of Drone Delivery Canada. The Griffiss International Airport, located approximately 500 KM from the Company’s Canadian facilities, is one of seven FAA-designated UAS Test Sites that provides BVLOS (Beyond Visual Line of Site) Research and Development capabilities and long-distance testing corridors within active airspace.